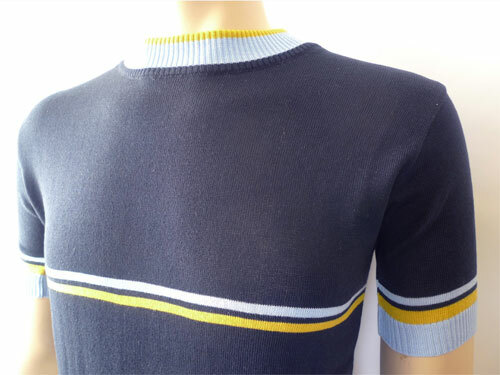 Credit to Crocodile Jock and his Lambrettista blog for doing the legwork in finding out about the EBretta. 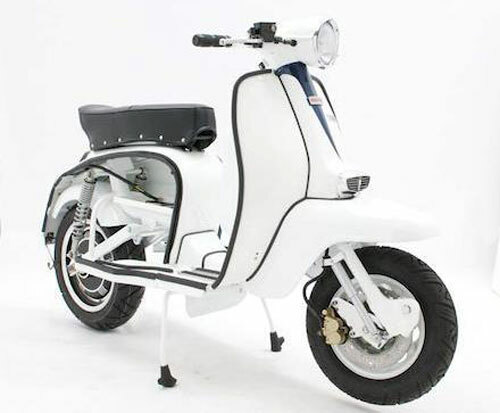 Yes, not content with a modern-day twist ‘n’ go Lambretta, there’s now an eco-friendly electric scooter in production, complete with vintage looks. But it’s not quite there yet. The scooter is being produced in Vietnam, with the first version now working, real worked technology, with a Mk II in production, presumably ironing out any problems before it hits the shelves. The first version is certainly no speed merchant. 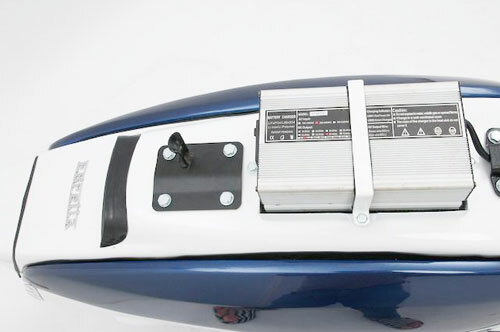 It uses a brushless 13″ motor which generates 3kW, generating a torque of 180 Nm, which translates to a top speed of over 60kmh (roughly 40mph). Enough to get your around town, but not much more. Electric, as we said, using 16 Lithium Iron Phosphate battery cells, which take about three hours to fully charge, giving you around 40km of travel. All of that should be improved when the second version arrives. If you want vintage, authenticity and gears, get a vintage scooter. 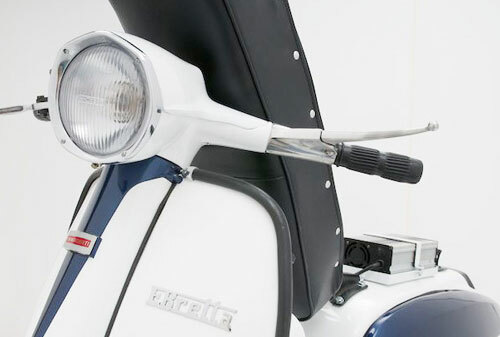 if you want twist ‘n’ go and a classic look, check out those recent Lambretta launches or indeed, the Vespa 46 when it finally arrives. But if you want to give fuel the boot and don’t mind the odd sneer off the purists, this could be in the showrooms this year. 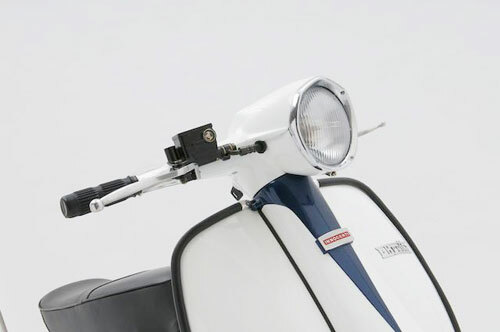 That looks so good I’d be tempted to put a petrol lambretta engine it and listen to the beautiful and unmistakable sound of a real scooter! The design is absolutely fantastic, I’d ride that any day, especially in that colour even though I prefer black. However, you’d never get the same sound as a petrol scooter as you pulled away off the drive way.